A light, refreshing and healthy twist on a classic salad! 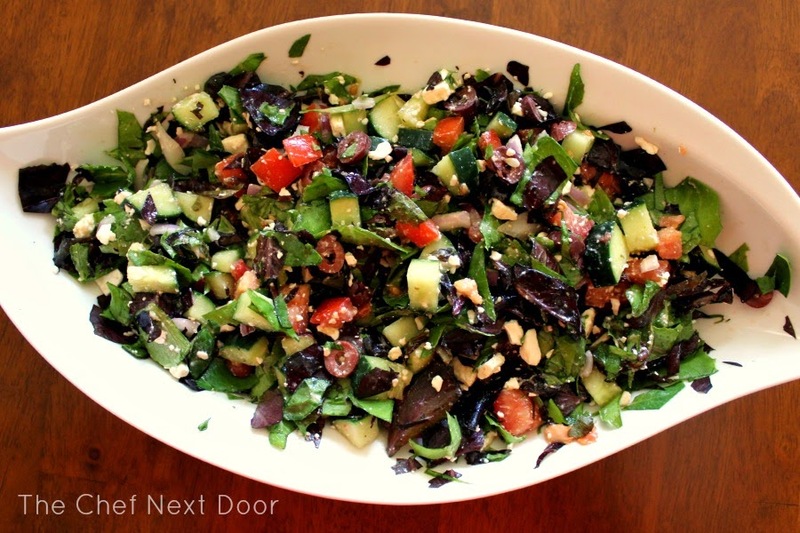 Looking for a fresh new salad for your summer dinner table? 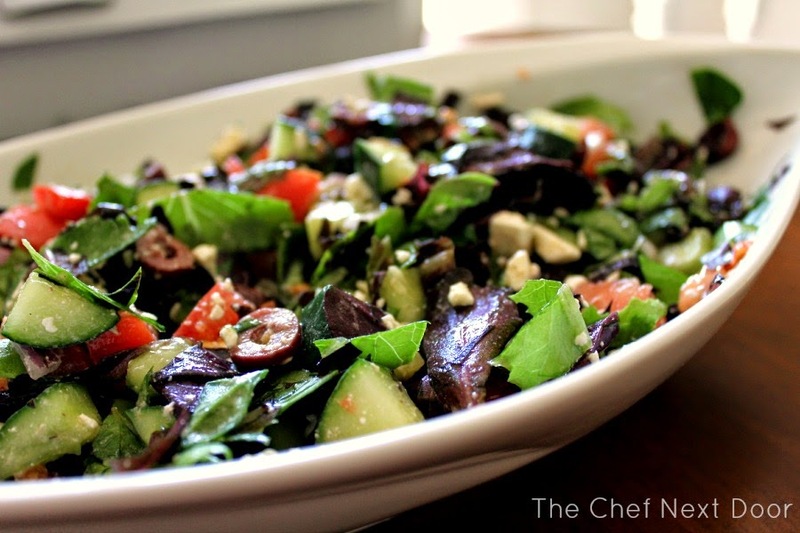 This Chopped Greek Salad is just the right thing! Lots of delicious chopped veggies tossed with an easy homemade dressing make the perfect combination. The best part is it's super easy to throw together, even if you are short on time. This salad is a great addition to your side dish repertoire. It pairs well with burgers, chicken, pulled pork, you name it. We will definitely be enjoying it as part of our 4th of July meal! In a large bowl, place all of the salad ingredients. Using tongs or salad servers, toss everything together well. Pour about 1/4 cup of dressing over the salad and toss. Add more dressing as you wish to get the perfect balance.